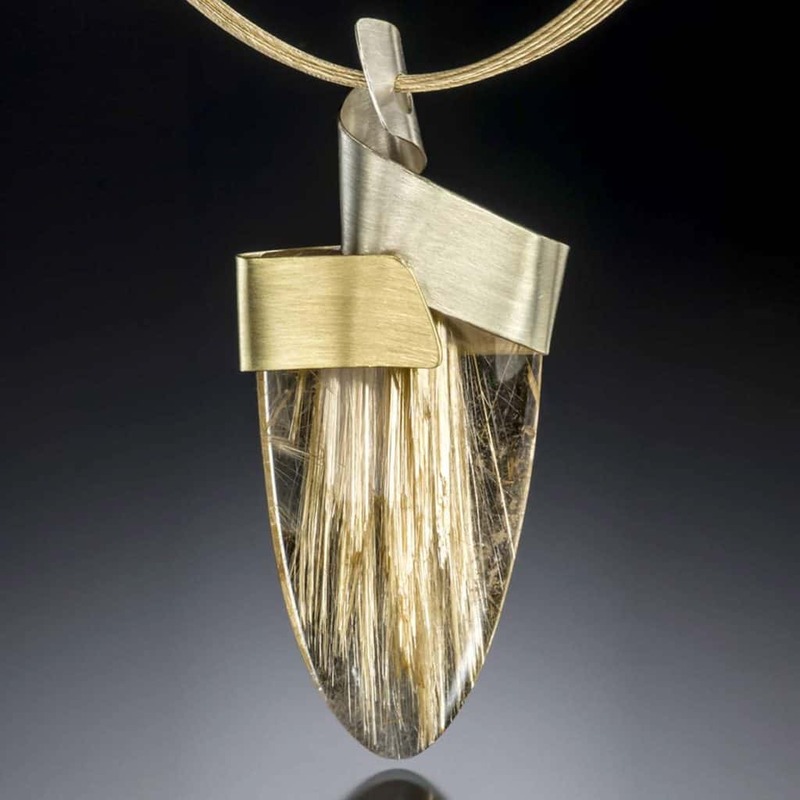 Sunshine Quartz Pendant beams brilliance. This uniquely stunning slice of rutilated quartz is suspended from a delicate curl of gradient SpectraGold™. Call (949) 715-0953 or use our contact form below for additional information.